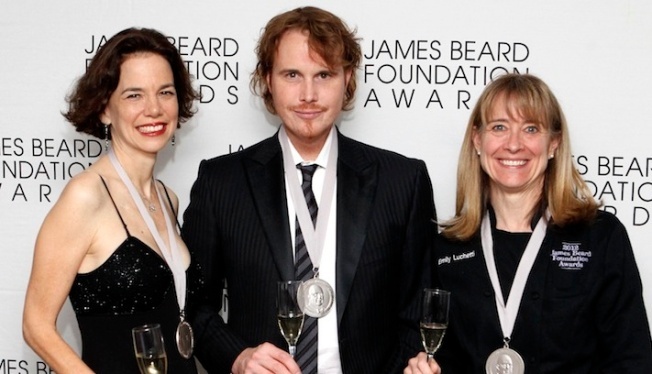 An extra helping of coverage from the May 4 "Oscars of the food world"
Dana Cowan, Grant Achatz and Emily Luchetti at the James Beard Foundation Awards in 2012. The James Beard Awards is sticking around for seconds and thirds in Chicago. The president of the prestigious food awards, known to some as "the Oscars of the food world," announced Thursday it plans to keep the James Beard Foundation Awards Ceremony and Gala Reception in the Windy City in 2016 and 2017. This year's James Beard Awards takes place on May 4 at Lyric Opera of Chicago, the first time it's being held outside New York City. Several locals were announced this year as nominees in 59 categories, including Restaurant and Chef, Restaurant Design, and Book, Broadcast and Journalism. Among the nominees for Best Chef in the Great Lakes were Curtis Duffy of Grace in Chicago, Paul Virant of Vie in Western Springs, Erling Wu-Bower of Nico Osteria in Chicago and Andrew Zimmerman of Sepia in Chicago. Tanya Baker from Boarding House was also nominated for "Rising Star Chef of the Year." 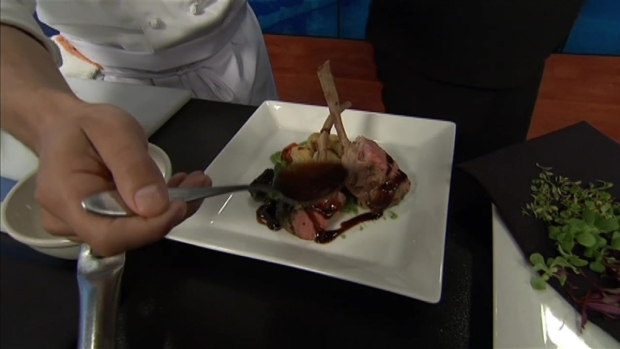 President of Kendall College Culinary Institute talks about the Oscars of the food world's big move to Chicago, and the city's international culinary scene. Topolobampo in Chicago was listed among those in the “Oustanding Service” category, and Dana Cree from Blackbird was nominated in the “Outstanding Pastry Chef” category.